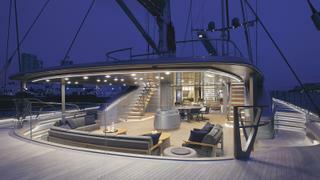 As first yacht interior design commissions go, 70 metre sailing yachtSybarisis quite the debut performance. Peter Hawrylewicz, co-founder of PH Design, takes us inside the creation of Bill Duker's beautiful yacht and expands on his design ethos. I was shocked when Bill Duker asked us to design his PeriniSybaris. He’d been a client for years but we’d never done a yacht and there were others far more qualified. 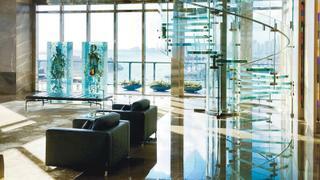 He tasked us with creating a floating gallery: the result is warm, modern, subtle interiors which let the art stand out. I’ve always taken a “bones first, bonnets later” approach to land-based interiors and Sybaris was no different. We did have the advantage of starting with a blank piece of paper, though, which we rarely do on land. One of the most beautiful sights in the world is a boat glowing alone on a dark sea. 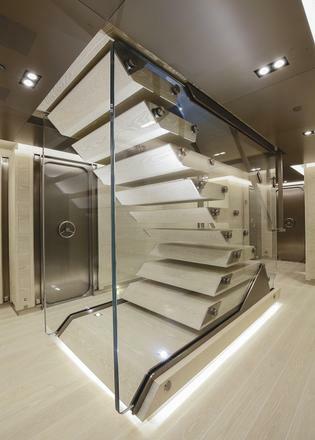 The direction of natural light on a boat is unpredictable so good lighting design is imperative on yachts. It’s a great way of creating intimacy or making spaces feel bigger. I appreciate the enthusiasm designers bring to their superyacht projects but I don’t always like the outcome. Yachts that take a more-is-more approach can leave one wanting. Restraint adds clarity. Yachts are all about economy of space. Guest cabins should be like Japanese mystery boxes where surfaces slide, swing and part to reveal compartments beneath. The trick is making it look effortless.